So... first build in a couple years and it was interesting reacquainting with the market! My dad's current desktop is probably 6-8 years old, and just doesn't have the ability to keep up with modern software requirements. I thought this build would be a nice update for him on a big day in his life. He does light gaming, and heavy multitasking on his computer. I know it's overkill currently, but I'm hoping it'll last him another 6 years if he's lucky. Put this rig together in about 3 hours, and it went extremely smoothly. Never used any of these products before except the fans. **If I could give one outstanding complement**, it would go to the Corsair H115i water cooler. I've done air cooled rigs, and custom water loops, but never prebuilt water cooling, which I was a little hesitant about. However, installation was a breeze, just as easy as most air coolers I've worked with! I did order 3rd party fans (the AF120) instead of using the stock fans it came with because I read that the stock fans were very loud, and I wanted to keep this build as quiet as possible for him. It worked like a charm; the entire rig is about as quiet as a soft whisper. 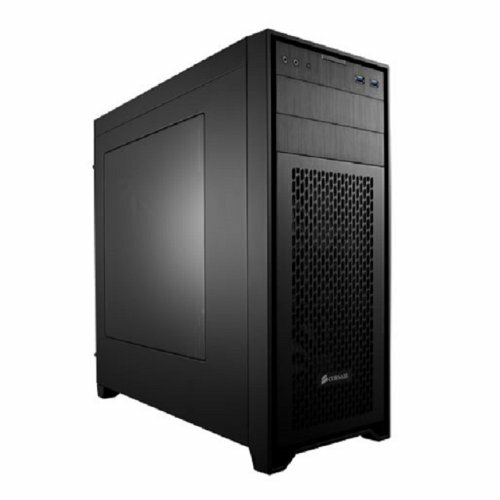 **If I could give one outstanding complaint**, it would go to the Corsair 450D Mid ATX Tower. It happens to be a phenomenal case at a great value, but there was one big flaw  that drove me crazy: cable management space. I counted only TWO cable anchors to zip tie cables in the back, and they already had the cases default cables strapped to them. I ended up redoing the default cable layout, and removed the SSD brackets to use their mounting clasps as makeshift tie points for cables. I used pretty much the minimal amount of cables possible in a computer, and while I don't consider myself that bad at cable management, it was STILL a squeeze to get the side panel on. **Overall**, this build was a joy, and the computer works beautifully!! Super fast, quiet, and easy to modify and update parts in the future. The pictures don't do the rig justice (Just used a point and shoot with a flashlight), but I hope they can show you how well everything worked together. Lastly, I'm always open to criticism about how I can balance parts better for future builds, how I could manage the cables better, or anything else. Thanks!!! see, Im planning to get the msi gtx 960 too and my friend said to go with the r9 380, I wasn't sure? So should I definitely go with the 380? is there any difference at all between the cards? any problems? 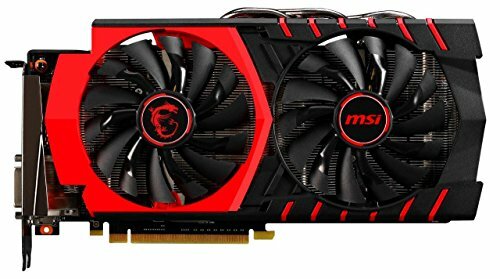 Will my future computer work with this? Cool! Thanks, I am excited to build my PC soon. Thanks for the advice, I am still unsure about things so I am always looking for new stuff and considering things. yea colors are kind of off but its okay. Ahh, thanks for the tip! 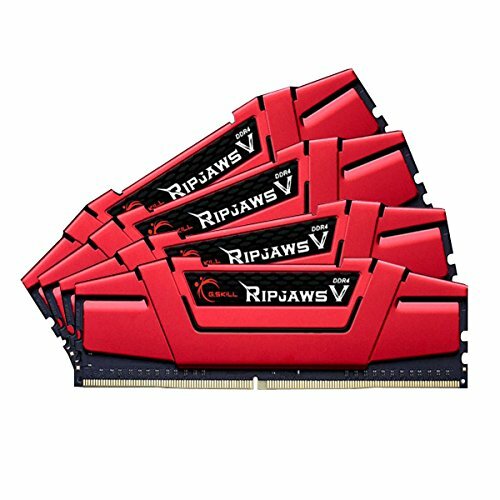 Was looking for a GPU with 4gb of memory, and that was by far the cheapest I found on a brief search, so I believed I was getting a deal! What camera did you use to take pictures of your rip? A Nikon coolpix LP120 I think. Nice build and great camera work, really nice pics. Holy crap look at the detail on those pics. Nice camera work. If anyone ever wants to know what the heat pipe on a MSI cards looks like, i will send them to your build. O yeah, the guild is great, and i think this will last your dad a very long time. How's the ,motherboard, run into any problems with it? Looking to get the same one. It's really smooth! Works perfectly! Thanks for the confidence in my GPU choice Nikolai. For the PSU I used PC Part Picker's power estimations, and the max power required was still 120 watts below what I got, so I assumed I was safe. The only reason I think I may have undershot the power was not anticipating later expansions such as adding another graphics card, but I highly doubt he'll need that.